Twenty Two Liberty is one of Boston’s newest luxury developments just completed in the Seaport District’s iconic Fan Pier, located right on Boston Harbor. The stunning 14-story building has an all glass façade and floor plans range from studios to 3+ bedroom penthouses. Modern kitchens featuring Sub Zero and Wolf appliances, marble bathrooms, and open floor plans. Situated directly on the waterfront, many of Twenty Two Liberty’s homes will have jaw dropping, 270º views of both the Boston Harbor and the city from the wall of floor-to-ceiling windows. 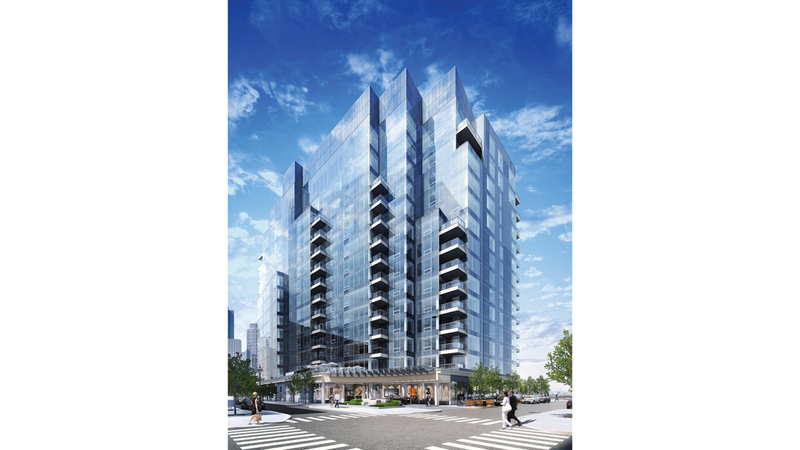 Residents of 22 Li-berty will enjoy the building’s 24-hour concierge services, a pri-vate van service called the Cricket that makes regular trips in and around Boston’s waterfront, and immediate access to the many beautiful parks, marina, museums, shopping and entertainment at Fan Pier’s doorstep. Fan Pier makes it possible to live, work, shop, dine and socialize in an environment where service and amenities are matched only by the water, the views, and the unique opportunity to enjoy the best of urban living.